For over 30 years, Sonic Youth has been at the forefront of independent rock music, perfecting their singular vision of sprawling, experimental noisescapes channeled through the unlikely medium of popular song. What began as punk and then “college rock” in the ‘80s, got chewed up and spit out as “alternative” by the major record labels in the ‘90s, and is currently being rebranded as “indie” for the millennial generation has seen one constant throughout. And that is the continuing influence and vitality of this quintessentially New York band who somehow rose from the artfully abrasive sounds of the ‘70s no wave scene to become a household name in the world of rock. When bassist Kim Gordon and guitarist Thurston Moore announced that they were separating after over 25 years of marriage late last year, it was a sad day for a whole generation of music lovers who grew up listening to their albums, going to their shows and idealizing Gordon and Moore as the ultimate punk rock power couple. 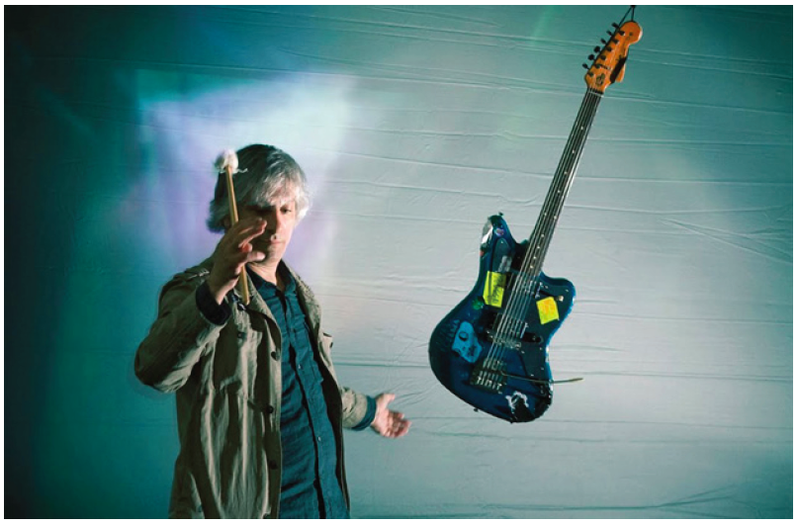 There is, however, one silver lining to the band’s recently announced state of uncertainty and that comes in the form of guitarist Lee Ranaldo’s first “song-based” solo album Between the Times and the Tides. For ardent fans of Sonic Youth, Ranaldo has a George Harrison like quality of the soft spoken, unassuming genius about him, especially in the context of his bandmates’ indie rock star power. He is the singer and primary songwriter on only one or two songs per Sonic Youth record, but these songs are among the most memorable moments in the band’s catalogue. 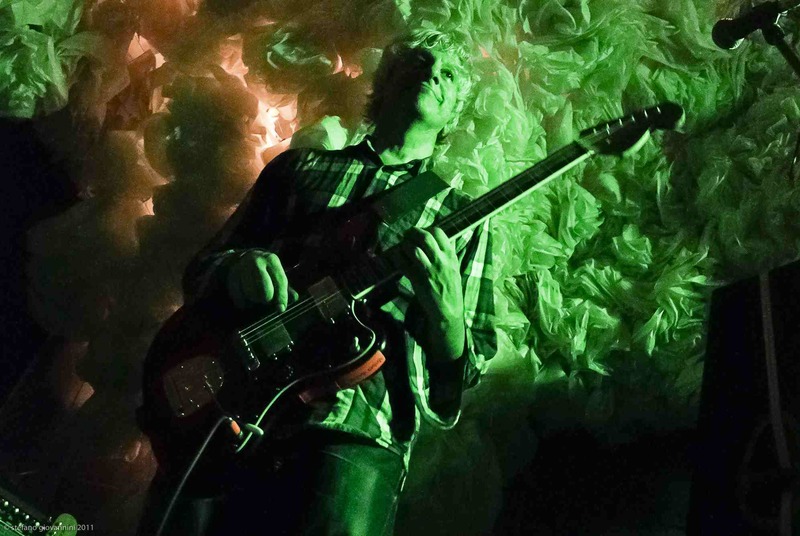 Songs like “Eric’s Trip”, “Mote”, and “Skip Tracer” see Ranaldo lacing his noise laden, propulsive guitar work with half-sung, half-shouted words that read more like beat poetry than rock lyrics. These songs remain among the most powerful in the band’s live repertoire, shifting shapes with each performance but maintaining that precarious balance of energy, melody and dissonance that Ranaldo and his bandmates have mastered throughout the years. 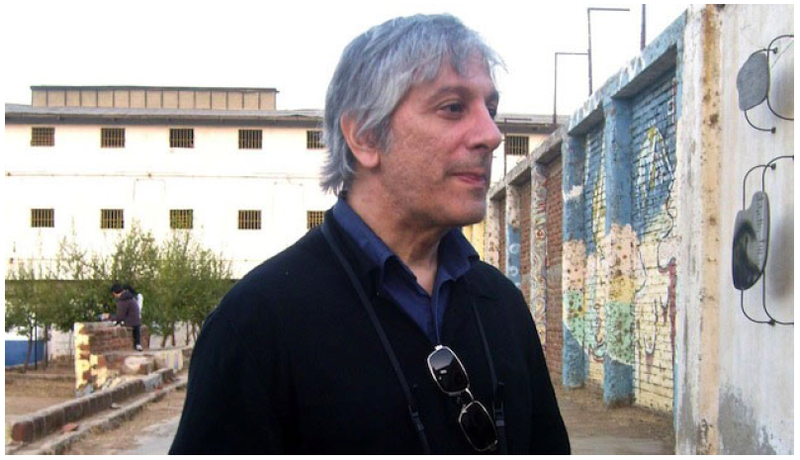 Because of the often abstract and experimental nature of Ranaldo’s work with Sonic Youth, and his previous solo work, which has unequivocally embraced the art side of the art rock equation, it would be easy to assume that Ranaldo’s interests lie further afield from the realm of pop music than those of his Sonic Youth bandmates. For this album, however, Ranaldo uses his new found creative freedom to explore sounds that are unapologetically pop based, mining the sonic landscapes of straight up rock, folk and americana, but tempering these familiar sounds with that sense of sonic adventurousness that he has cultivated through years of more experimental undertakings. Each of these musicians comes from a different place in Ranaldo’s past, and each brought something unique and dynamic to the writing and recording process. “I showed some of the songs to Steve who is around a lot and is a frequent collaborator in and out of Sonic Youth. Then I asked my friend Irwin [Menken] to come over and play bass on a few things and it just seemed pretty apparent right away that we had something happening.” Guitarist Alan Licht is also a previous collaborator in Ranaldo’s conceptual music project Text of Light which combines improvised music performance with screenings of American avante-garde films from the ‘50s and ‘60s. “We play in a lot of experimental contexts together, but we’ve never played in a rock song context before even though I know that he’s been in different bands that have been pretty cool and he’s a really good player,” says Ranaldo describing his relationship with Licht who has fronted the bands Run On and Love Child and played with such rock legends as Tom Verlaine and Arthur Lee. You can still hear the acoustic origins of many of the songs on Between the Times and the Tides, and there are a couple of tracks like the wispy, folk based “Hammer Blows”, and the softly strummed “Stranded”, that remain entirely acoustic in their completed versions. But there are plenty of other songs, such as “Fire Island” and “Waiting on a Dream”, that see Ranaldo and his supporting musicians branching out into a layered and intricate approach to the standard rock format that bears some resemblance to Neil Young in its blending of classic Americana sounds with Ranaldo’s trademark melodic dissonance and expansive approach to song structure. Perhaps the most surprising elements for those who have followed Ranaldo’s more experimental endeavors are the straight up indie pop numbers such as “Lost”, and lead single “Off the Wall”. The irony here is that for an artist who has spent his entire career pushing against the aesthetic boundaries of his craft, this turn toward conventionality is an extension of that very will to explore and challenge both himself and his listeners. 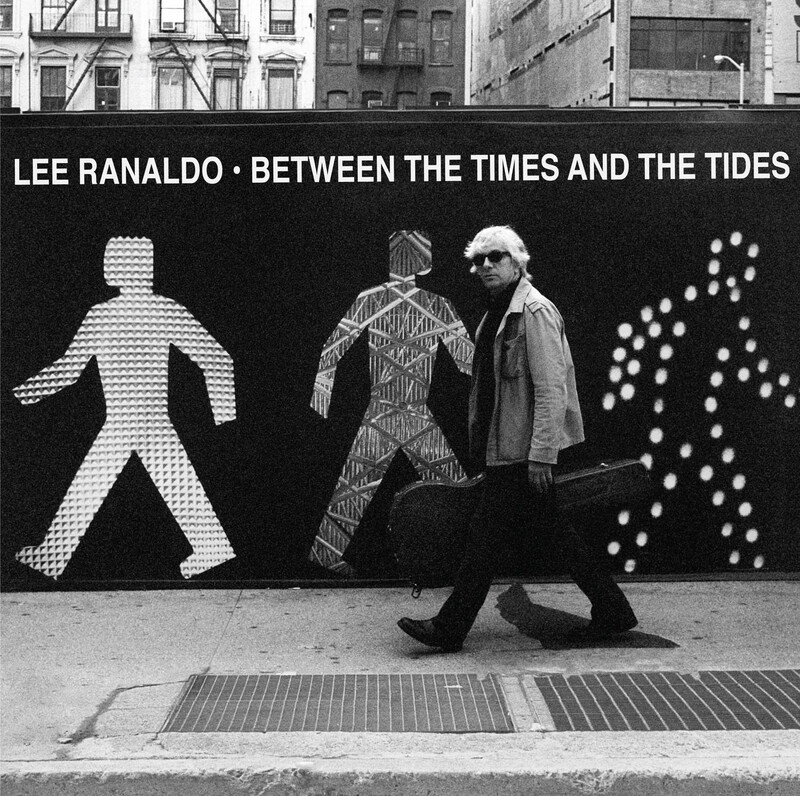 Between the Times and the Tides in its accessible, yet complex, approach to traditional song craft further solidifies Ranaldo’s status as one of the most innovative and technically adept rock musicians of his generation, and as a uniquely inventive songwriter as well. One of the elements that contributes to Sonic Youth’s truly distinctive approach to rock music is their exclusive use of open, non-standard guitar tunings, and this is a technique that has shaped Ranaldo’s songwriting process, both in Sonic Youth and in his solo work. “Songs seem to always spring from improvisation. The one place where this stuff shares with Sonic Youth is that it’s all derived from open tunings,” he says, referring to the songs on his new record. He goes on to elaborate about how this use of open tunings facilitates a song writing process in which free improvisation leads to structure. On the other hand, it was that period that in many ways created the possibility for contemporary underground or indie acts to find a significant audience and to build their careers on any of several prominent independent labels such as Matador Records, the current home of both Sonic Youth and Ranaldo’s solo work. By integrating innovation and experimentation with guitar rock sounds and a real pop sensibility, bands like Sonic Youth laid the groundwork in the ‘80s and ‘90s for much of today’s indie rock music. On Between the Times and the Tides, Ranaldo continues that tradition into the current moment, and as someone who has enjoyed the dissonant beauty of Sonic Youth’s music for nearly two decades of my own life, I can only hope that we will hear much more from its members, individually and collectively, in the future. 060812 | Filed under INTERVIEWS.